Feathers Optics (part of Feathers Wild Bird Care) are based in the small village of Salehurst, East Sussex. 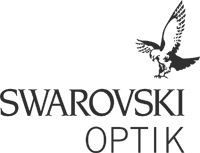 They are authorised UK stockists of Hawke, Opticron, Swarovski, Viking, Vortex and Zeiss bird watching binoculars. Roughly an hour and a half from the border of East and West Sussex, many customers from the towns of Worthing, Shoreham, Burgess Hill, Haywards Heath, Horsham, Crawley, and East Grinstead have come to Feathers to purchase their binoculars for bird and wildlife watching. Allan and Joe pride themselves on their extensive range available to try and buy in store, with over 50 pairs available to look through from the comfortable viewing area just outside the shop. 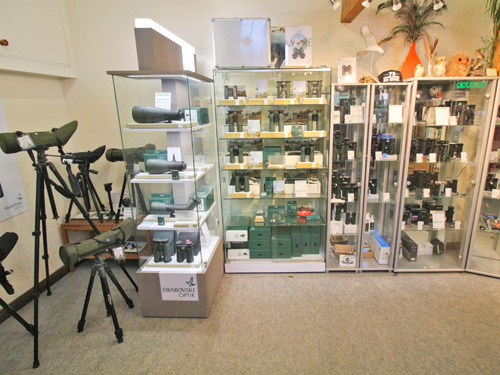 Complimentary tea, coffee and biscuits, impartial expert advice and a welcoming atmosphere make Feathers one of the best places to buy binoculars near West Sussex. We advise you phone before your visit to check our stock levels. Products listed on the website as 'In Stock' should be available, though a phone call is always best! If there is a particular product listed online that is not currently 'In Stock', please give us a few days notice and we should be able to order them in for you. If you are simply looking to order online, Feathers offers free nationwide delivery from Royal Mail on all orders. Have a look round our online store, drop us an email at info@featherswildbirdcare.co.uk or give us a call on 01580 880803 if you have any questions! Most Satnavs should take you straight to us with our postcode TN32 5PJ. We are only half a mile from the A21 Robertsbridge round-a-bout. Take the exit signposted to Salehurst, you will reach 'The Salehurst Halt' pub on your right and the Church in front of you, we are just around the s-bend on your right, adjacent to the churchyard. We are 20 minutes north of Hastings and 30 minutes south of Tunbridge Wells.